What Is a Solar Skylight? Solar energy can be used in many ways by utilizing the sun’s rays to create heat and/or electricity. Solar skylights create passive solar heating in the simplest and most environmentally friendly form available today, as well as employing photovoltaic (converts sunlight directly into voltage electricity) to act as power generators. The combination of natural light energy with natural ventilation systems allows the solar skylight to greatly reduce heating and cooling bills. Providing alternative energy, the solar skylight is a fantastic innovation for easier living and a healthier environment. The solar skylight is especially suited to homes or offices located in colder climates. What Do Solar Skylights Look Like? 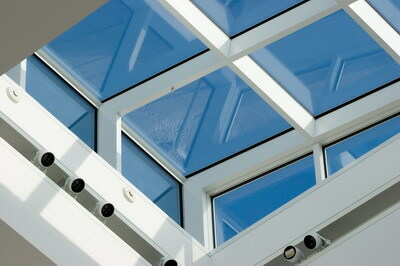 The solar skylight can be designed to operate just like any other skylight. Solar skylights are made in almost every kind of skylight model/design available today, including flat, dome, tubular, bubble, box, retractable, curb mounted, and more. However, the tubular skylight achieves passive solar heating best, as it uses reflectors and mirrors to redirect natural light directly into your room. 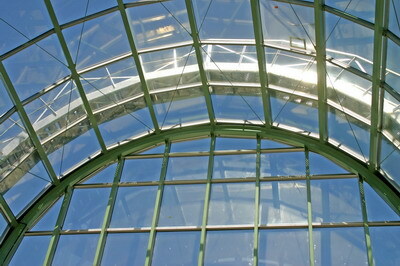 Solatube is the leading manufacturer of tubular solar skylights. Why Install a Solar Skylight? 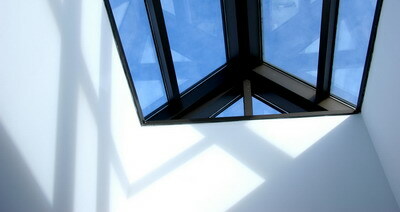 Solar skylights, as mentioned, can heavily reduce you heating and cooling costs, thus proving economical in the home. Solar skylights are also environmentally friendly, which means your house will be greener. Additionally, solar skylights can be bought in a variety of styles, shapes, and sizes, so installation isn’t any more complicated than other skylight forms. Roof 101 contractors provide solar skylight related services for both residential and commercial applications, and work with all leading solar skylight technology brands. For further information regarding solar skylights and their functions, or installation, contact your local branch. A roof truss is made up of bottom chords, top chords, and inside webbing, and held together by metal connector plates. The shape of the truss will depend on your roof's structure. They are usually placed every 2'' off center in residential and commercial buildings with gable roofs, yet can be shaped to suit a variety of configurations. Make sure you are familiar with your roof's support requirements before attempting do it yourself roof trusses. If you are not, call a Roof 101 professional immediately for expert installation services.